Given we still have very sunny spells for now, the last of the flea markets are taking place in a few locales around the city, one of them being Butte aux Cailles. 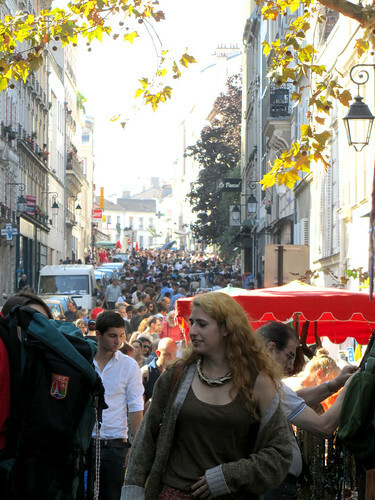 What is normally a quiet and small street – well, more like a lane – was completely jammed today! The photo doesn’t lie.